When you’re in a car or motorcycle accident, there’s a lot of things on your mind, and your emotional and physical state can often make it difficult to deal with them. From your immediate safety to the long term legal and financial consequences of the crash, being involved in a vehicle accident can be overwhelming from the moment of the crash, and for weeks and months after. The best way to deal with these different stresses is to compartmentalize based on urgency. By taking care of the most dire issues at the start, the seemingly intractable problem of sorting out a car or motorcycle accident becomes manageable. Here is a quick overview of what to do if you’ve been in an accident, in order to help you deal with the various consequences. A vehicle accident scene is an extremely vulnerable and dangerous area post-crash, so keeping everyone as safe as possible immediately after the crash is vital. If possible, get yourself, your family, and your vehicles off of the road, and out of the way of oncoming traffic. There’s no need to compound injury or tragedy by being absent-minded right after an incident, so make sure safety is your immediate priority. Once everyone is in a safe situation, it’s time to start gathering information for use in any possible legal or insurance proceedings. This includes getting the contact information of other drivers, so that you can keep in touch once you part. 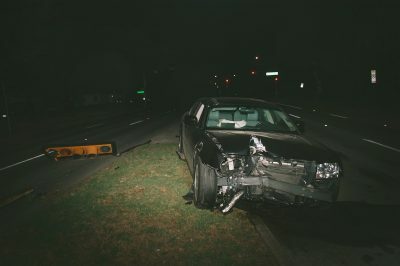 If there are any witnesses of the crash, you should get their information as well, so that they can help recreate the incident for the legal or insurance cases. Something you should always remember here is to not admit fault, even if you feel culpable for what has happened. You should always seek legal counsel before admitting anything that could be used against you later. Once the immediate details of the accident have been sorted out, it’s time to get legal representation, so that an expert can lead you through the post-accident legal and insurance proceedings. These events can be confusing and stressful to navigate on your own, and can result in you being legally or financially implicated for something that wasn’t your fault. If you’re looking for legal representation after a vehicle accident, contact Evergreen Personal Injury Counsel. Our attorneys have years of experience helping people get the justice they deserve, so you can trust that you will be represented in good faith, with the best legal minds on your side.